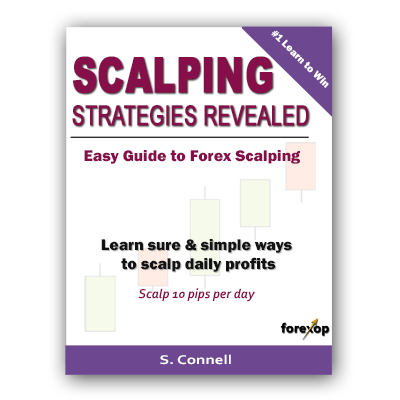 Scalping is a type of day trading where the aim is to make small profits on a frequent basis. There is no single definition of a scalping strategy. However, several things set scalping apart from other trading strategies. Firstly, scalpers do not hold positions for very long and rarely hold overnight positions. Secondly, technical analysis and fundamental analysis is less of a focus. Instead, the scalper attempts to exploit price volatility so that they can profit regardless of market conditions. Many scalpers also study price action concepts. There are some advantages to scalping. The scalper realizes profits and losses quickly. There is less chance of accumulating runaway losses that might occur when holding trading positions over longer time spans. Scalpers do not incur swap fees since they don’t hold overnight positions. In addition, the scalper does not tie up their capital in holding long-term positions on margin. This makes it attractive for traders with small accounts. One of the most basic scalping methods is spread-scalping. The spread scalper tries to use volatility to get around the bid-offer spread. They attempt to buy at the bottom of the bid-offer range and sell at the top. The profits are tiny because the bid offer range may only be a few pips wide. Instead of waiting for trends as a position trader would, a spread scalper examines movements as the bid and offer fluctuates at each tick. The table below gives an example. At tick 1, a market maker makes a bid offer of 1.1545/1.1550. The scalper buys at the ask price 1.1550. In the meantime, the market moves in the next tick and the bid offer adjusts to 1.1550/1.1560. The scalper is potentially at break even. In the 3rd tick the price moves again and the market maker adjusts his spread to 1.1560/1.1570. The scalper sells to close the position at 1.1560. The scalper realizes a profit of +10 pips while the bid maker makes a loss of -10 pips on the entire transaction. In practice, the profits on scalp trades can be as low as 1 or 2 pips. This technique can potentially work on any currency pair or other asset type but it is easier when there is a tight spread and decent liquidity. The spread scalper is effectively taking money off the table from the market maker. Many retail forex brokers also act as market maker, or have restrictions put on them by their wholesale liquidity providers. Therefore, it isn’t surprising that they try to prevent clients using these kinds of strategies. 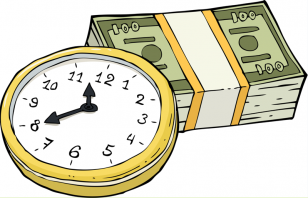 Many brokers put restrictions on pending and take profit orders to prevent execution closing within or near the opening spread, or within certain time constraints. These restrictions can quash the effectiveness of spread scalping. Spread scalping gets harder the further you are from the market. Wholesale market makers are the ultimate spread scalpers because they make the market and control the spread. The more removed you are, the wider the spread and the fewer providers you will be able to access. Retail clients are captive clients and layers of broker spreads greatly reduce the chances for profit in spread scalping. Spread scalping also does not come without risk. All traders know that rather than fluctuating gently, the market may at any time start a strong directional move that works against a position. When this happens, the scalper needs to close very quickly to avoid a running loss that may eliminate much of the profit. The longer the scalper holds the position, the higher the chance that the price will move out of the profitable range. To that end, scalpers try to hold positions for a short a time span as possible. The ideal is to buy in one tick and sell at the next. With any scalping strategy, it’s essential to stick to the system, and not hold on to positions for a minute longer than necessary hoping for a profit turn-around. In the example above there is just one market maker providing the quote. When you have access to multiple quotes or can synchronize different accounts, this opens the possibility of profiting from pricing discrepancies. This is arbitrage scalping. An arbitrage scalper tries to exploit differentials, buying a low quote and simultaneously selling a high quote. The scalper waits for a spread gap to close and or move in their direction of profit. See the above table as an example. At tick 1, the scalper sees an opportunity and sells the high quote from provider 2, while simultaneously buying the lower quote from provider 1. The scalper has locked in a potential profit of up to 5 pips. He can realize a profit as soon as the closing spread between the two quotes is less than 5 pips. This happens at tick 3 and the scalper closes both positions to realize the full profit of 5 pips. The profits from spread arbitrage may be tiny. Nevertheless, the risks are limited because the scalper has a net position of zero and is only waiting to exploit variations and anomalies in different quotes. To exploit arbitrage opportunities you need extremely fast and accurate price execution because any slippage can quickly eradicate profits. Having a successful strategy is just part of the story. With scalping, the application of the trading system is as crucial to profits as the strategy itself. For this reason, scalpers need to pay careful attention to their choice of broker. For one, some brokers forbid scalping strategies altogether as a condition of their terms of service. More commonly though costly spreads and commissions can make strategies unworkable. ECN accounts can be a good choice for scalpers but sometimes the commission works out as expensive as or more so than the spreads. Good price execution is also an absolute must. Slippage as well as biased price execution can cripple any strategy but especially high frequency, low profit trading. Scalping systems require fast and repetitive decision making. This type of trading lends itself to automation more so than other strategies. Automated scalpers are usually far better able to make rapid calculations and manage orders than a human. If you have a solid strategy, it’s good practice to have that system automated. Another advantage to this is that automated trading systems are easier to back test and adapt.